Sponsored Children Love Your Letters! 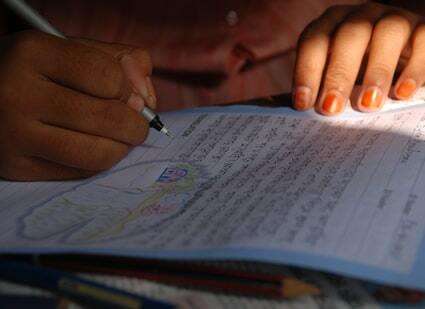 A letter from a sponsor is one of the most desired things a sponsored child can receive. Your letters can do more than money, because they build a relationship between you and your sponsored child. Your letters are not just pieces of paper; they are letters filled with love, affection, emotion and inspiration for children. In Bangladesh our child development centers do not celebrate any particular day of the month as “Letter Day,” as some other countries do. But every month children reply to your letters after receiving them from our ministry office. Children at the Sath Nong Khasiapungi Child Development Center are always looking forward to the day when their center staff members bring the big envelop full of sponsor letters. This development center is located on the top of a small hill, a one hour drive from the nearest town. Our staff visits a small town to collect the letters from a courier office. “We are several miles away from a small town. Every month we receive sponsor’s letters at least twice. Children are very eager about these letters; they always ask us about the letters. Here we don’t have a mail-man who can bring the letters to the development center. We are required to collect these letters from the courier office. We use three wheelers (small three wheel rickshaw that runs by motor) to get them. Caregivers, social workers and other staff from the development center assist the children to read your letters and write back. Bangladesh is a country where different tribal groups have their own languages. Bengali is the only language that is widely used. English is not spoken or understood by most people. So a group of young students at our country office translate your letters before they are sent to the child development centers. Then the Sponsor Donor Service staff distribute the translated letters to the various Implementing Church Partners. Children at the center receive the original letter with a translation in their local language at the bottom. “Most of the time we receive letters in the afternoon, so we distribute the letters to children the next day. We call each child and help them to read the letter. We explain anything to them that they are unable to understand. Seven-year-old Tithi has a sponsor from the USA. Receiving any letter from her sponsor is a most pleasant event for her. “I like to receive gifts, but I love to get my sponsor’s letters more. I love it especially when there are photos of my sponsor. My sponsor loves me and sent me a nice photo of her. She wrote that she prays for me. Children feel happy to show your letters and photos to their development center friends and family. Tithi always shows her letters and photos to her friends. Tithi can read her own letters, but her teacher helps her to understand the unusual words. Lishtina’s sponsors are also from USA. Her sponsors are very responsive. They reply to her every letter. This year Lishtina wrote 6 letters and received 5 from her sponsors. “I received a birthday gift from my sponsors but I love to receive letters and photos from my sponsors more than gifts. For boys, to receive a letter from their sponsors is equally important. Robin and Eliphas love to get notes from their sponsors. Robin shares with his parents every time he receives a letter from his sponsor. Whenever Robin gets any card or picture he becomes very delighted. Eliphas reads his notes from his sponsor with his friends. Every child feels proud when they receive their sponsor’s letter, because it brings the message that someone from far country thinks about them. Synod is the eldest registered child at the Sath Nong Khasiapungi Child Development Center. She is now 14 and studying in grade 8. She feels the significance of her sponsor’s messages. “Every time I receive a letter from my sponsor I get so excited. She is like my family member. I can feel her emotion, love and care for me. It is something very special for me. Hema also waits eagerly for greetings from her sponsors. Whenever the child development center staff comes in with a large brown envelop, she expects a letter from her sponsors. It becomes a lucky day for her when she gets her desired letter. It has been 5 years since we started to work through the local church in the community of Sath Nong Khasia Pungi. The staff at this center are experienced and understand the importance of children’s letters for their sponsors. Letter writing is considered as essential as any other regular activity at the center. Generally the children reply to their sponsor’s letters the day after the development center receives them from the country office. “Children who don’t receive letters from their sponsors generally write letters to their sponsors every 4 months. But for the sponsored children who get letters from their sponsors regularly, they have to reply their sponsor’s letters. They also write thank you letters whenever they receive any monetary gifts from sponsors. 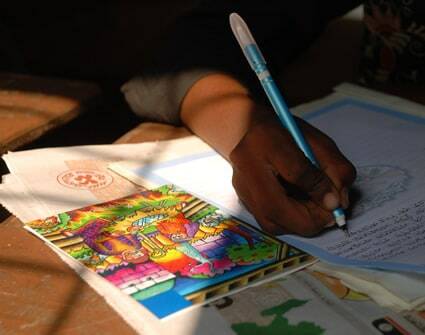 The letter writing process is very organized and systematic at the Sath Nong Khasiapungi Child Development Center, just like other development centers in Bangladesh. Children read their letters from sponsors and then they sit together inside the church and write their replies. Children also sit on long benches and place their writing papers on narrow tables. We provide them with a special letter form to write to their sponsors. These letter forms are colorful and children can write and draw on them. There is also a small space for translation from Bengali to English. The children who are in higher grades write their letters on their own; the center staff help the younger children to write their letters. Children use pencils, pens, and colors to write and draw to their friends abroad. The social workers and the caregivers always assist and guide the children in writing letters. Children include their favorite Bible verses, list of favorite birds, colors, animals and song in their letters. Usually the information and language of the children letters are different for different age groups. The older children like Synod can express their pleasure and excitement in a more organized way. Lishtina received a birthday gift from her sponsors. She conveyed her gratitude through a thank you letter. Writing you letters is an event of joy for the children. They love to write about their emotions, favorites, families, study, events at the development center and prayer requests. They also know that the drawings they make are appreciated by their friends abroad. These drawings are very special because it carries the emotion of the child for the sponsor. The alphabet may not be familiar, but drawing is a common language for all. A short message from you could play a vital role in the life of a child. A letter can develop a heavenly bond of love. This small piece of paper can bring huge inspiration, hope and change in the life of a child. All of our ministry staff in Bangladesh really appreciate the effort you take to not only support the children of Bangladesh but to also strengthen the bond of love by writing to them. David is a field communications specialist for Compassion International. David, thank you so much for writing this for us! It was amazing, in that it came out the day before we sponsors traveled to Bangladesh. I experienced first-hand the value of writing to children often and trying to learn many things about each; when we met, I felt like these children were some of my best young friends, because we could talk about the things we already knew about each other. And the love we felt for each other was so strong! I want to applaud Bangladesh Compassion staff for the wonderful work they do in making certain that our kids receive their letters and answer ours in such prompt timing. I write to many children through Compassion but I have far more responses from Bangladesh children and know them the best, which has inspired me to sponsor many children in your country! With my youngest children there, who have needed the caretaker to write the letters, I get wonderful letters, full of information about the child and project – thank you so, so much!!! And, David, thank you for the beautiful photographs and great story! You are the BEST!!! I wondered the same thing for awhile…wondered if the kids were getting our letters. It seemed that the reply letters were often very generic. So, we inquired about it, and also made it a point to ask specific, simple questions that would encourage the kids to reply. And they did! Occasionally the letters are still somewhat vague, but in general, they reply to my questions, and also ask about specific people in my family, their activities, etc.. I found that sending pictures is a great help, too. It helps them to feel like they know my family better and feel more comfortable asking about us. I just tried the online version of writing letters tonight and uploaded 3 pictures to add to the letter. I’m thinking it will get to them more quickly. I tend to be one that appreciates a hand-written note more than a computer-generated one, but decided to give this a try this time. I was able to duplicate the letter for both of my sponsored children (the parts about our family that would be the same in both letters), but individualized the parts about them. And I sent the same pictures to both kids. So, it was a huge time-saver, and hopefully will still be enjoyed by the kids even if it’s not hand-written and hand-signed. Hope that’s an encouragement to you to continue writing! I visited my sponsored boy in Ethiopia last May 2011. The staff who receives the letters from sponsors said: “We know you. We always get letters and pictures from you”. I was truly happy to know that my little boy does get my letters. The CI staff from the Philippines told me that my little boy is blessed to receive letters from me. They said that some other sponsored kids hardly gets any letters from their sponsors and would ask them “Why is my sponsor not writing to me?”. The CI staff feels heartbroken and sad that these kids do not get any letters. They do not know how to respond to this question. I encouraged all sponsors to take the time to write to your beautiful sponsor kids. Receiving letters from their sponsors is one of the highlights of being a sponsor child. God bless you for being a sponsor!! I am so happy to know that letter writing touches our sponsored kids in more ways than one. I sponsor 4 youngs boys and I promised them that I will write to them each month. So far, I write to them at least twice a month. I, on the other hand, receives letters from them each month. What a blessing! I equally can feel the excitement each time I get a letter from them. I absolutely love your new letter writing options. I love being able to add photos to the letter. I teach at a Christian Preschool and my class is involved in supporting a child. Letter writing used to be a little vague to them, but being able to type a letter and add photos and then print it for the class to see makes our child VERY real! Thanks for emphasising the importance of letters again. I do wish every sponsor would get the message that letters do matter. It must be heartbreaking to be the kid that never gets a letter. After a sponsor tour to Honduras in 2009, I was humbled to learn that I could have been writing to my child. I didn’t have to wait for her letters. 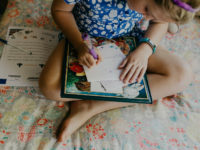 Recently, I found a letter from my sponsored girl that read “Why don’t you write to me anymore?” and it broke my heart. I fooled myself into believing that it was about the money. It’s not. I often forgot to send letters because I just wanted to get that one picture or some stickers, and I would forget. Then, I’d think that the letter was “too old” to send and just not send it. After this trip, I changed. And the relationship changed too. Initially, the letters may seem formal, but after a a few months, you will start seeing your child’s personality in a new way. Sponsors, write those letters! Don’t be ashamed about the past. Don’t worry about if you are too boring for your kids. Believe me, you are not! Show them the love of Christ and reach out to them – put your love into action through a letter. Your child will delight in what you do send. It’s about encouraging them in school, with their activities and letting them know that you pray for them and their family. Be an encourager! I love to write to our girl in Bangladesh. It’s easy to remember her, she shares my daughter’s birthday! It’s fun to see the cultural differences- she will ask “do you like noodles” or tell me she used gift money to get a goat. That’s really neat. This article was great, you can sense the isolation when you see it takes so long to get the letters and get them to the kids! And reading how sad for kids not getting letters; wish I could write them all! I usually include a homemade scrapbook style card once in a while, a pack of stickers for her, anything I can squeeze into the envelope to make it special. I get a lot of letters from our child in Bangladesh, and write her more frequently now. Its fun reading things like “do you like noodles”, or that she “got a goat” with the gift money I sent! I was hoping she would be in this article…but still was amazed at how much it takes to get the letters to the kids, and how quickly we get hers! Great post! Thank you! This should be required reading for EVERY new sponsor! Keep spreading the word about how important writing to our kids is. The love, encouragement and prayers are SO important to them. If you’re just sending $38 a month and not writing – you’re missing the boat and NOT doing all you could for your child! In fact – they could be wondering why you don’t love them….. I wish that EVERY sponsor knew just how important it is to write regularly. 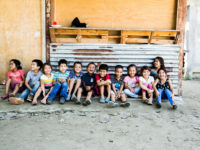 When I have had friends come back from visiting sponsored children, the one common theme they relay is that the children who do not receive letters are devastated. Often they ask if the visitors know their sponsors and ask why they do not receive letters. They feel unloved. Sponsors, if you could take just 10 minutes a month to write, your child will be so blessed. Hi Michelle. Nice expression. I happen to write a lot because I’m a “talker” but there have been times I’ve been slow in writing and wonder if my kid ever “never” received a letter because of timing. 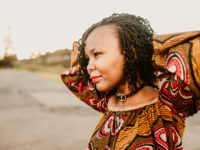 This was a thoughtful post and I was encouraged. I love this! I love writing to my kids and receiving their letters. Although I don’t sponsor any children in Bangladesh, I’m pretty sure this is a universal theme for all sponsored kids. Thanks for continuing to drive home the importance of letter writing. This is a very nice story….